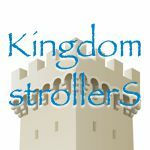 Disney’s Animal Kingdom has welcomed two new babies! 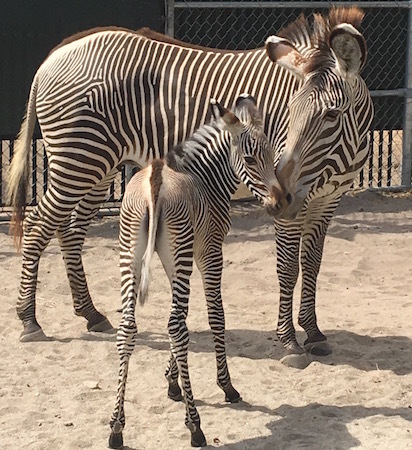 Two brand new female Grevy’s zebra foals were born in the last week, one on April 26th to Laylee, and the second on May 1 to Zuri. Originating from Africa, Grev’s zebras are the most endangered species of zebra, with only around 2,500 left in the world. The new additions are currently nursing and forming a bond with their mothers backstage, but will soon join the herd on Gorilla Falls Exploration Trail overlook. 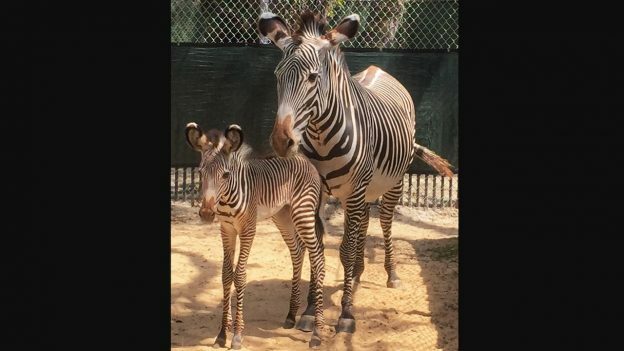 From Disney Parks Blog about their Species Survival Plan, “These zebra births mark another success for Disney’s animal care experts and the Species Survival Plan, a program through the Association of Zoos and Aquariums that helps ensure a diverse, healthy population of threatened and endangered species. These zebra foals are making an important contribution toward the worldwide conservation and understanding of the Grevy’s species, which will help ensure a future generation for these endangered animals. The conservation efforts of protecting wildlife doesn’t end there. Later this year, cast members will travel across the world to learn about and take care of more endangered species, such as painted dogs, dolphins, gorillas, Guam rails, rhinos, sharks, and vultures. If you want to learn more about Disney’s efforts to preserve life of the endangered wild, visit DisneyAnimals.com.